Mint is an herb that wears many hats. I love it in sweets like candies and ice cream, but it also adds great flavor to savory soups and sauces. Last night, I made a couple batches of coconut milk-based ice cream to show off the versatility of mint. One is a classic mint chocolate chunk that delivers a strong blast of peppermint flavor. The other is a virgin mojito flavor that marries the tartness of lime zest and subtleness of muddled fresh mint leaves. Blend first 7 ingredients until smooth, pour half of mixture into separate container. Add peppermint flavor the second container and stir. Chill in refrigerator for a couple hours. Freeze ice cream according to manufacturer’s instructions. Transfer to a freezer-safe container and stir in chocolate chunks. Place in freezer to set for at least 2 hours before serving. Rub mint leaves in your hands for a few seconds to release oils and add to blender mixture with lime zest. Blend until mint leaves are finely chopped. Chill in refrigerator for a couple hours. Freeze ice cream according to manufacturer’s instructions. Transfer to a freezer-safe container and place in freezer to set for at least 2 hours before serving. In a small bowl, make a slurry with the starch and 1/4 cup light coconut milk, removing as many lumps as possible. Add all remaining ingredients (except pistachios) to a medium saucepan. Pour starch mixture through a strainer to remove any remaining lumps and add to pot. Simmer over medium-low heat until mixture thickens, about 15 minutes. Transfer the coconut milk mixture to a large mixing bowl. Cool to room temperature then place bowl in fridge overnight to chill. In a food processor, grind pistachios to a fine powder. Skim top layer of coconut milk batter with a large spoon and discard. Whisk pistachios into batter and freeze according to your ice cream maker manufacturer instructions. Transfer ice cream to an airtight container and freeze for at least 2 hours before serving. 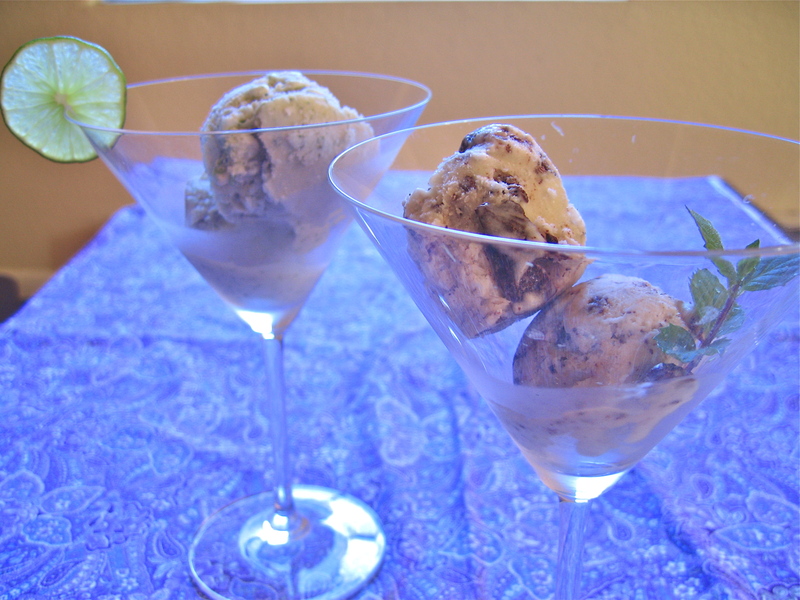 This is the recipe that I use as a base for many different ice cream flavors. It’s simple and delicious. Use a small amount of coconut milk to dissolve arrowroot powder. Add the mixture and all remaining ingredients to a medium sized saucepan and simmer over low heat until it thickens. Pour the custard into a glass bowl and refrigerate until chilled, preferably overnight. A thin layer of “skin” will form when the custard chills, this can be skimmed off with a spoon. Another trick is to place plastic wrap on the surface of the custard before it cools, but I prefer not to use plastic wrap, especially when it will be in direct contact with hot food. Freeze the custard according to manufacturers instructions for you particular ice cream maker. The ice cream will be too soft and runny to serve immediately so it should be placed in an airtight container and stored in the freezer for at least a couple hours first.